Amazing! You look like a million bucks! Love how you styled this look. Forever 21 contemporary line sometimes have such fabulous finds! I love the outfit you pulled together today. Love that top and the details around the neckline. Oh that blouse was a total deal! 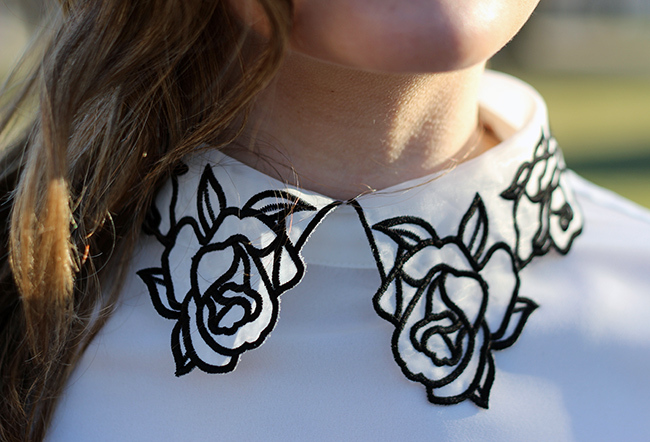 I love the flower details on the collar. The camel coat is beautiful too. Love seeing you in these culottes! The collar detailing on this is so fun. I love Forever21 for trendy pieces. I haven't shopped in F21 in forever, but it is great that some good accessoires can make all the difference! I love your blouse and your accessories too. This blouse is gorgeous!! ...and I need to get a pair of culottes!! Absolutely love this culottes and knee high boots combo! So gorgeous; love that coat as well. Great outfit! The culottes look great with the boots! I also love the details on the blouse! And what a fabulous coat! I never would've thought this was all Forever 21! Looks so amazing on you! Great blouse!!! Awesome budget outfit, love it! I love the detail on your blouse! It's subtle but still so feminine! That blouse is so pretty and I love how you make all the items from F21 look a million bucks! 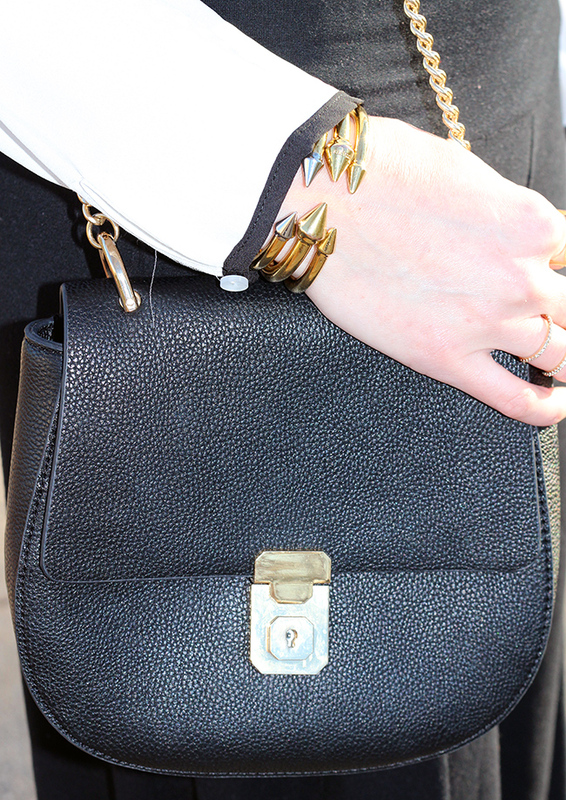 Head to toe chic: high-heeled boots, culottes, rose-collared blouse, bracelets, draped coat - all of it. So beautiful, on trend, modern and glam!